How does one go about taming Plasma? Well, that seems to be a recurring question I get asked in the emails. 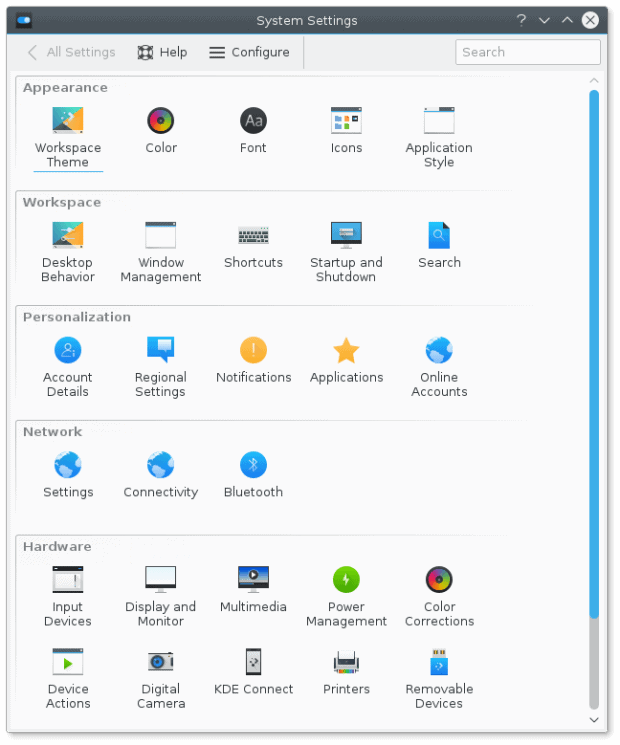 People are really interested to know about theme, font, icon, and window decoration management in Plasma, and how it compares to the good ole KDE4. A valid question. 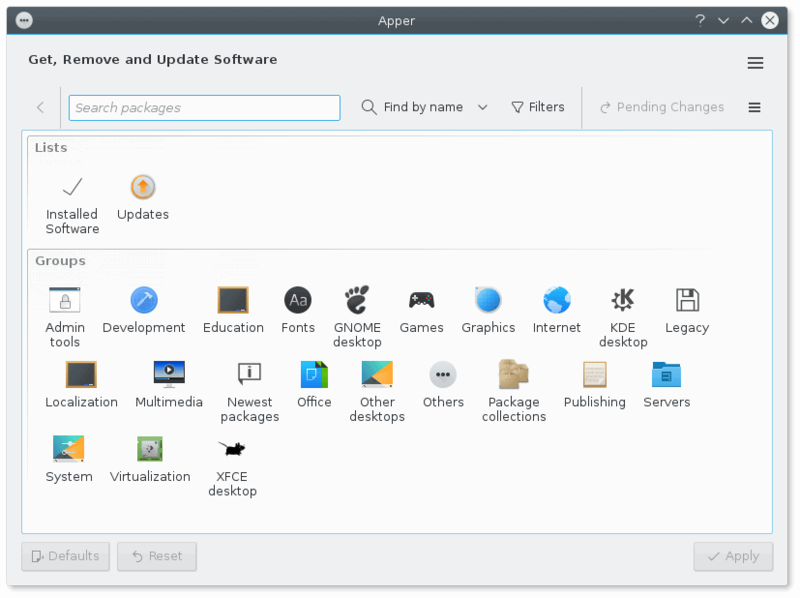 We already know quite a bit about this desktop environment. I was extremely keen on Plasma last year, and even crowned it my favorite for a while. We also talked about some neat tips and tricks on managing the desktop, so it’s not a stranger. Now, we shall delve deeper into the aesthetics side of things. This is a hot topic. 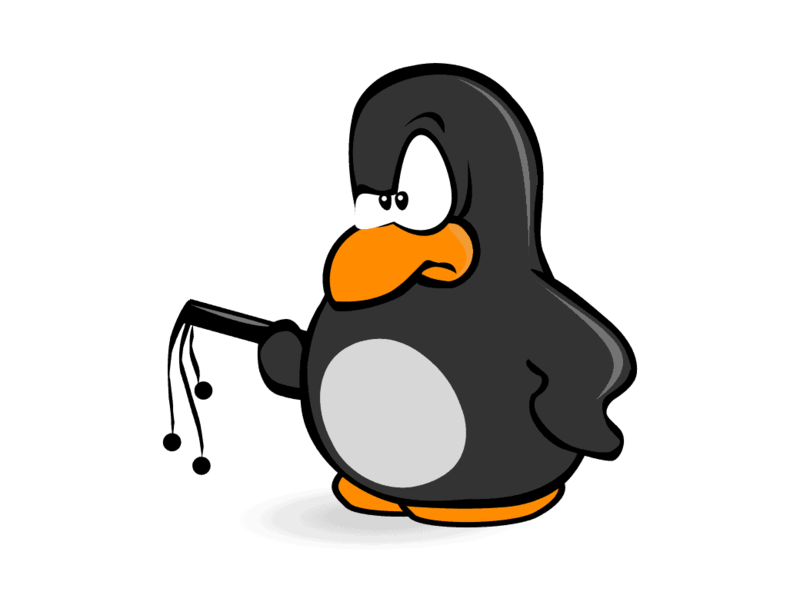 Linux font management has always been a bit of a potato, and doing it right isn’t trivial. Luckily, obtaining and installing fonts is easier than making them look good. 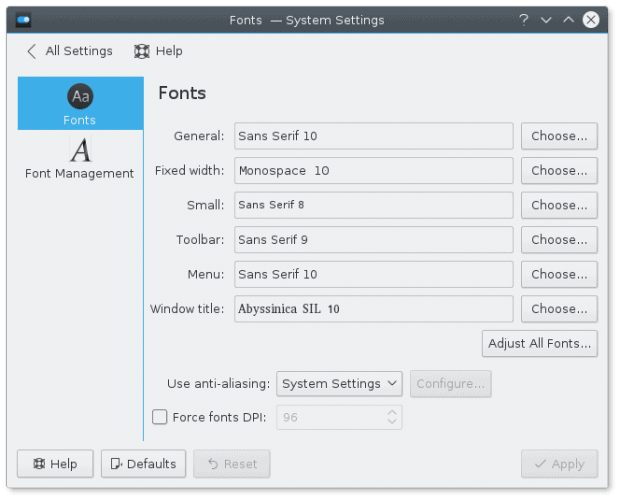 Plasma font management comes as an individual category in the System Settings. Your first step is to configure system fonts, if you need to. DPI, anti-aliasing and all that. But actual font management is a separate sub-step of the Fonts menu. 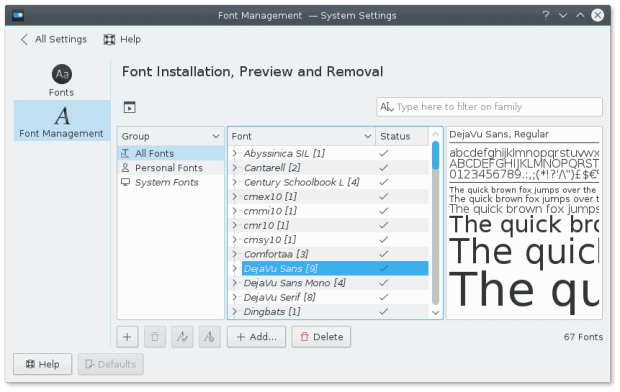 Under Font Management, you can add or delete fonts. However, through this menu, you will only be able to add personal fonts, which will be installed in your home directory. You cannot add system fonts in this fashion. 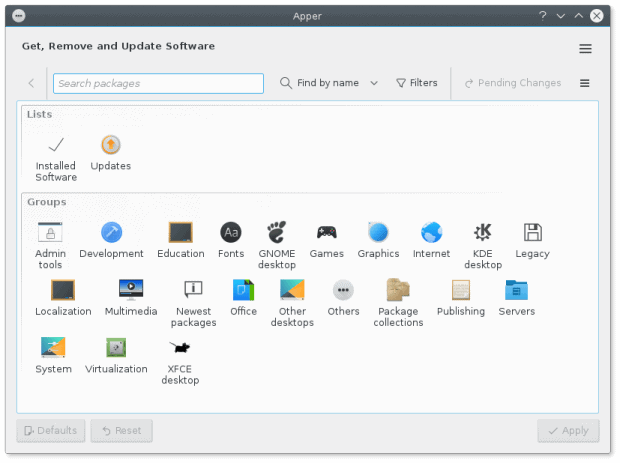 To do that, you will need to launch the system package manager. In our case, with Fedora as the test bunny, you need Apper. Again, you will find Fonts in a separate group, or you can just search for fonts using a generic term font, or by specific names, if you know exactly which fonts you want or need. After that, the installation is identical to any other package. You may also be interested in new icons. This is where things get ever so slightly confusing, and yet, they make perfect sense. Unlike fonts, icons are generally not considered system-wide packages, and new ones will reside in your home directory. The same applies to themes and window decorations. 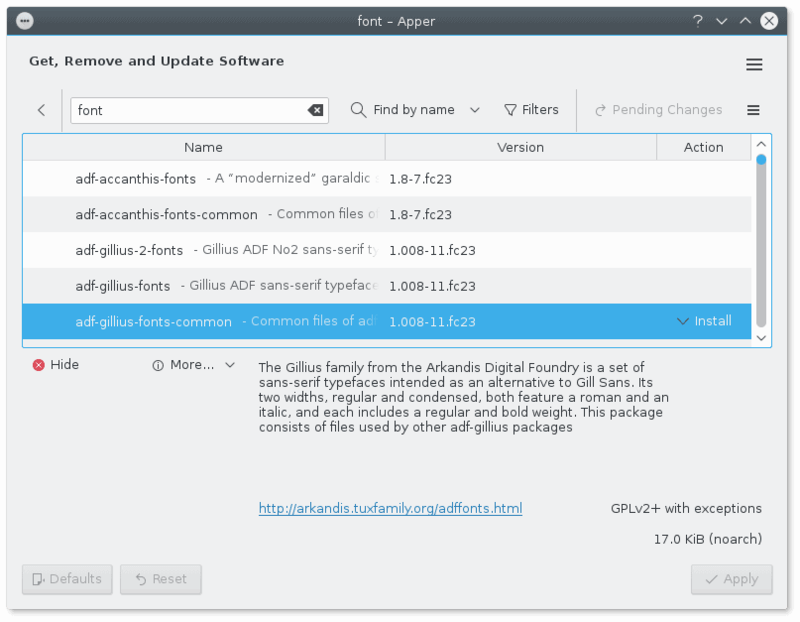 This is why you can search and install them organically using the System Settings menu, but not so with fonts. Moreover, the changes you make will be individual to your particular user. It is possible to install new decorations and elements under /usr, and make them available to everyone. But that’s a different task. 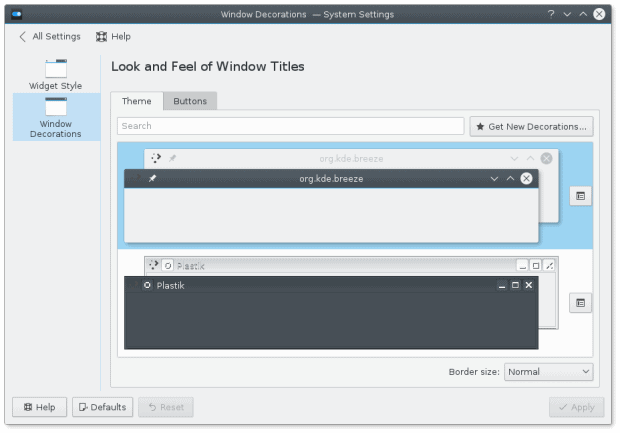 The system comes with its own built-in search functionality for icons, themes, and windows decorations, and you can sort them by rating, popularity, age, and more. Changing to a new theme should work immediately. In the worst case, you may need to log out and log back in. Overall, my experience shows less than a perfect track record with icon themes. But we may be luckier with window decorations and desktop themes. There is a little bit of nomenclature shellshock in how you manage the pretty aspects of your desktop. The generic look & feel category does not have its own label in the menu. It resides under Workspace Theme, but it affects your entire desktop. 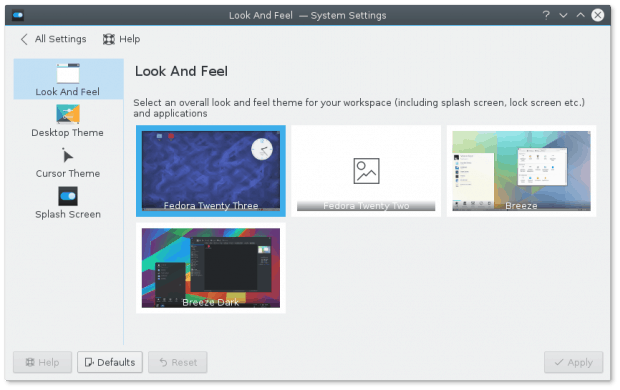 You should NOT confuse it with the desktop theme, which mostly changes the appearance of your desktop workspace elements, like the menu and the panel. This really could have been sorted out in a more elegant manner. Searching and installing new themes is similar to managing icon sets. 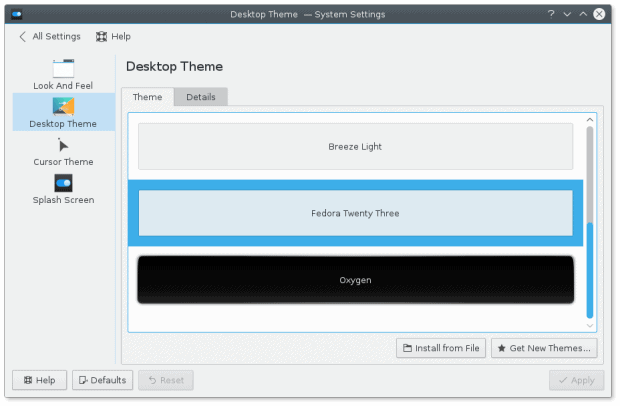 You can edit themes, by combining elements from all the installed themes. For instance, you can use the widgets background from one theme, but then use the menu and the panel from another. In my experience, this exercise does not always work elegantly. The next item on the menu is window decorations, which you may rightly assume belongs in the same category. You’d be wrong. You will find this particular setting hiding under Application Style. New decorations can also be found using the system add-on installer. The non-linear approach can derail new users not too familiar with the KDE (and Plasma) over-abundance idiosyncrasies. 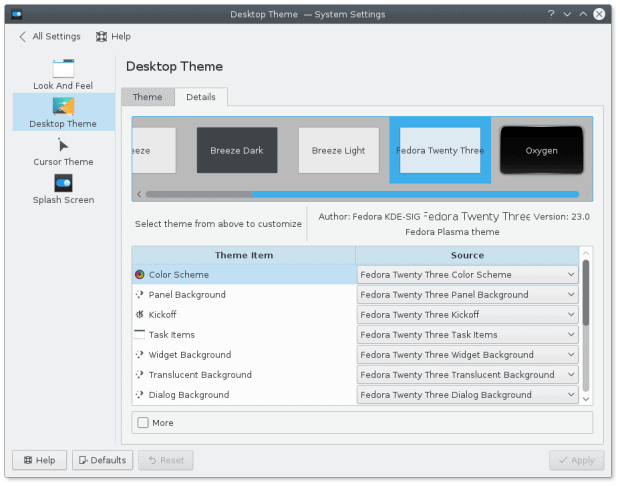 Side by side with the chosen theme and decorations, you may also want to configure how the desktop behaves. The namesake category contains a large number of actions. 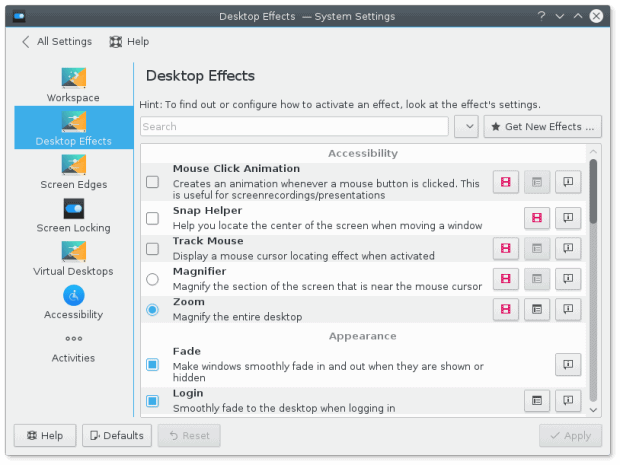 You can configure the workspace behavior, screen edges and locking, add and rename virtual desktops, configure activities and accessibility, and also tweak desktop effects. Note that In some distros, the Plasma config files are located in ~/.config/plasma*. Navigating the perilous waters of desktop beautification can be slightly intimidating when the desktop frameworks throws a whole lot of similar but ever so distinct categories, all of which behave in a somewhat different way. Luckily, the problem space is not as big as it sounds. Fonts need their special care, but icons, decorations and themes can all be happily managed through the system interface. You can also always reset each option, and even move the entire Plasma configuration away and start from scratch. Some of the labels are misleading, but the bulk of your work will happen under Workspace Theme and Application Style, with fonts and icons in their own buckets. Well now, you should feel a little better, a little more clearheaded around this whole Plasma thingie. So, perhaps, it’s time to start exploring? See you around.